Someone just broke an embargo, revealing a host of Assassin’s Creed: Odyssey details in the process. Assassin’s Creed: Odyssey was confirmed by Ubisoft to be part of the publisher’s E3 press conference just over a week before E3. Sometime after, screenshots from the game leaked online, showing the new dialogue options, skills UI, and the game’s general look. Now, leaks have taken it a step further by giving us a look at a vidoc that’s likely planned to go live after the Ubisoft conference. The video was first published by Unilad Gaming on Facebook and YouTube, but was quickly pulled. A mirror existed on Streamable at one point, but that has also been taken down. Fear not, however, we’ve gathered a few details from watching it. 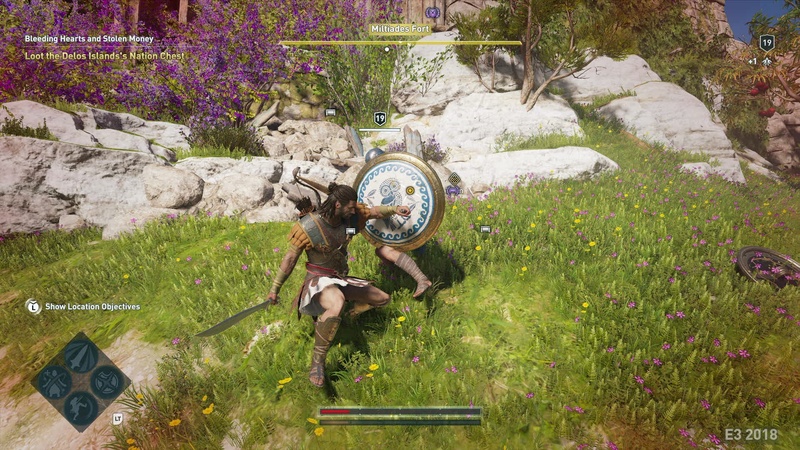 The game lets you choose between a pre-made male and female characters (Kassandra, and Alexios), and they both have the same story. Both characters also have connections to the first civilisation, though details about this interesting tidbit will be left for the player to discover. We also got a look at the map, which looks a bit bigger than Assassin’s Creed: Origins, spanning several different regions of Greece. As mentioned in the various leaks, there’a greater emphasis on boat combat this time around. The video featured footage of ship boarding, ramming, and general combat at sea. The number of enemies on screen is definitely bigger than it’s ever been, both at sea and on land. Among the many details it confirms is the game’s release date. Assassin’s Creed: Odyssey is out October 5 on PC, PS4, and Xbox One. We’ll bring you more as Ubisoft makes the details official.